All the year 2016, Clowns Without Borders Spain visited disadvantaged neighborhoods seriously affected by the crisis in Spain. Clowns Without Borders Spain toured throughout disadvantaged regions in Spain. 46 artists performed 41 shows for 3200 people. In 2014, Clowns Without Borders Spain toured through Spain with 28 artists, and performed 43 shows for 2930 people. In 2013, Clowns Without Borders Spain toured throughout Spain and performed 40 shows for 3290 people. 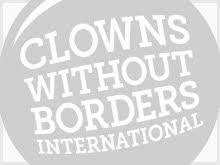 In 2012, Clowns Without Borders Spain toured throughout Spain to entertain kids in Special Youth Centers and refugees from Africa. They performed 11 shows for 1217 people. 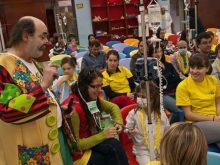 In 2011, Clowns Without Borders Spain helped the victims of the earthquake in Lorca, offering them an occasion to laugh, recover forces and dreams. They performed 6 shows for 640 children. In 2011, Clowns Without Borders Spain helped the victims of the earthquake in Lorca, offering them an occasion to laugh, recover forces and dreams. They performed 6 shows for 392 children. In 2011, Clowns Without Borders Spain helped the victims of the earthquake in Lorca, offering them an occasion to laugh, recover forces and dreams. They performed 6 shows for 2412 children. In 2011, Clowns Without Borders Spain helped the victims of the earthquake in Lorca, offering them an occasion to laugh, recover forces and dreams. They performed 6 shows for 250 children. In 2011, Clowns Without Borders Spain helped the victims of the earthquake in Lorca, offering them an occasion to laugh, recover forces and dreams. They performed 8 shows for 780 children.